On October 8, the General Conference communication department released a list of questions and answers related to recent discussions about policy compliance. The article was published on the Adventist Review and Adventist News Network websites. The wording of these questions and answers is troubling and often misleading. A question-by-question analysis of the article follows. The full article, without my analysis, is available here. These are my personal views on this topic, and I speak for myself only. 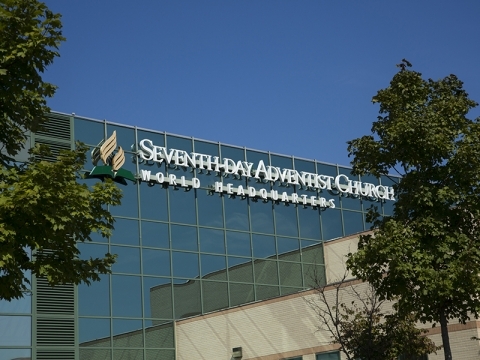 The Seventh-day Adventist Church is an international spiritual community of 21 million members bound together by the Holy Spirit in its commitment to Christ, His message and mission. Our worldwide church organization strengthens the unity of the church, safeguards its doctrinal integrity and fosters its mission. In an effort to unite the church over difficult issues, has the General Conference (GC) leadership become a persecuting power as identified in Revelation 13? If the Holy Spirit is what binds us together, why is GC leadership taking on the work of unifying the church? Has the Holy Spirit made GC administration His enforcers? As the authors point out, the worldwide church organization strengthens unity. It cannot create it. Suggesting the Seventh-day Adventist Church or its leadership are fulfilling the prophecy of Revelation 13:7 is virtually identifying the church as Babylon. The context of this passage clearly points to Daniel 7 where a power would intend to change times and laws. The one and only power that makes this claim and matches the prophetic description is the Roman papacy, which exercised both religious and political power throughout its history and especially during the Middle Ages from AD 538-1798. This is in response to an article by George Knight, called Adventism’s Shocking Fulfillment of Prophecy. While the title and words are provocative, the charge Knight is making is that GC administrators are exercising the spirit of persecution as identified in the beast of Revelation 13, not its work of fulfilling prophecy. Nowhere in the article does Knight identify the Adventist Church as Babylon. By encouraging the church to follow what has been voted by the General Conference in Session and its Executive Committee, church leaders are fulfilling their obligation of upholding the decisions of the world church. One of the primary reasons unions were established in the first place was to decentralize power in the Adventist Church. There’s significant dispute about whether certain decisions are the prerogative of the unions or the General Conference in session, but in either case, current policies place no such obligation on GC leaders to enforce decisions of the world church on other church entities. To the contrary, the church’s constitution and bylaws make entities accountable to their own governing bodies (e.g. constituencies and executive committees), not to GC leadership. Further, if the GC in session votes something outside of the parameters the church’s constitution and bylaws, if the GC administrators do have any obligation it would be as a voice of reason against—not for—such a vote. Is the General Conference leadership exercising “kingly power” akin to papal authority? The charge that the General Conference or its leadership are exercising “kingly power” akin to papal authority misunderstands the vast difference between the decision-making processes in the Roman Catholic Church in comparison to the Seventh-day Adventist Church. The papacy is a system of centralized, top-down authority centered in an infallible pope and his cardinals. 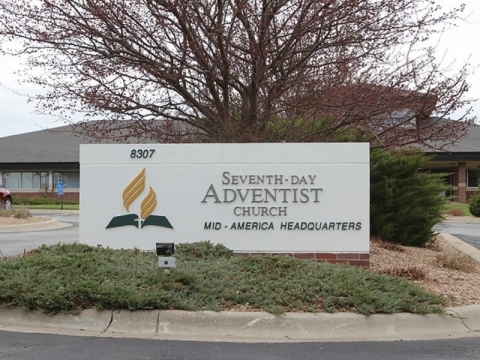 But in the Adventist Church authority flows in both directions, from the bottom-up and the top-down, through representatives who include at all committee levels women as well as men, and lay members as well as pastors. This is disingenuous. It is precisely because the differences between the two systems are understood that so many feel compelled to speak up when they see decisions being made that are leading the church toward a more papal system of governance. It’s also strange for the authors to reference the fact that women serve on committees at all levels, as if to say that because church leadership isn’t strictly male, we’re not like the Catholic Church. But the issue of women’s ordination was the primary catalyst for this entire conflict, and the viewpoint that women don’t belong in positions of leadership is arguably the largest motivator for the “no” vote that came out of the 2015 GC Session in San Antonio. Also, because many leadership positions require one to be ordained, women are automatically excluded (e.g. conference, union, division, GC presidents). In the Catholic Church, decisions on doctrine are decreed by the pope and the top theologians of the church. In contrast, within the Adventist Church, the statement of 28 Fundamental Beliefs simply summarizes what members, based on their own Bible study, already believe. Only the largest and most representative gathering of leaders and lay members at the General Conference Session held every five years can modify this statement of beliefs, the Church Manual, and certain GC policies, because they affect every level of the church. 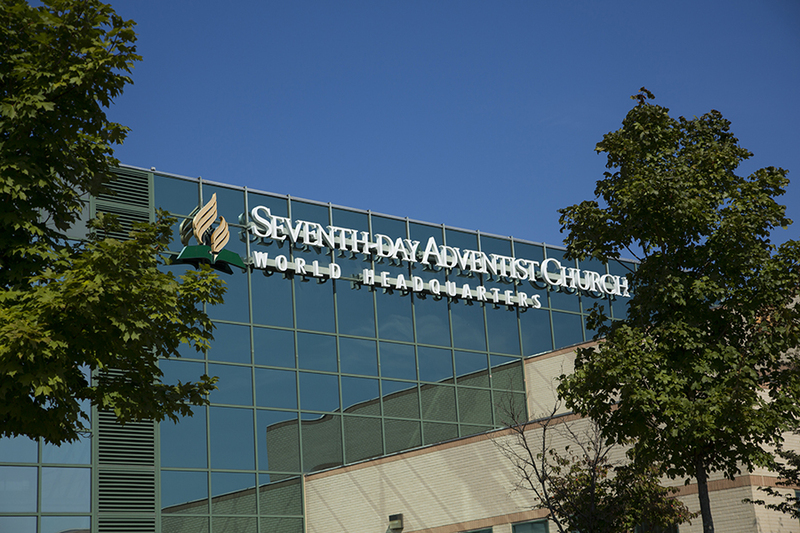 The Seventh-day Adventist Church, on all levels, operates on a representative form of church governance. Church leaders are elected officials who are duty bound to carry out the voted actions of the General Conference Session and the General Conference Executive Committee. The document and compliance review committees being considered at this year’s annual council have nothing to do with the 28 Fundamental Beliefs, the Church Manual, or really about doctrinal issues at all. The GC administrative committee may not be proposing to upend the church’s entire structure, in favor of a papal one, but they are selectively trying to circumvent it when it suits their purposes. The current proposals will create an atmosphere of coercion, suspicion and intimidation through public shaming. Which of the two models does that sound like? The fact that non-compliance in various areas of church life take time to resolve is a clear testimony to the fact that the Adventist Church has a distributed, rather than a top-down, system of authority, with appropriate checks and balances. The fact that the Adventist Church already has a distributed model of authority with appropriate checks and balances is the whole point. The Iowa-Missouri Conference and others are fighting to keep it that way. It is also possible to resolve matters by higher levels of church governance, such as the General Conference Executive Committee or the world gathering of leaders and lay members at the General Conference Session. This is confusing. If an issue being addressed falls under the parameters extended to the GC executive committee and/or the GC in session by the church’s constitution and bylaws, then, yes, it is appropriate to resolve matters this way. If, however, an issue being addressed doesn’t fall under the parameters extended to the GC executive committee and/or the GC in session by the church’s constitution and bylaws, then, no, it would never be appropriate for them to circumvent the appropriate checks and balances already in place. In 2015 the General Conference Session voted against allowing regions of the world to choose whether to ordain women to the gospel ministry. Were the full reports from the Theology of Ordination Study Committee (TOSC) made available to delegates and members before the 2015 General Conference Session? The process for the study of ordination was careful, thorough, and transparent in every way. In addition to the church’s Theology of Ordination Study Committee (TOSC), encouragement was also given for the study to be pursued at other levels. Division committees reported their findings to TOSC and vice versa, which enabled extensive dialogue on these issues worldwide. The papers presented at TOSC were made publicly available online soon after each committee meeting on the ASTR website (www.adventistarchives.org/gc-tosc). Three weeks before the 2014 Annual Council, the Adventist Review and Adventist News Network published an appeal for church members — and especially Executive Committee members and 2015 General Council delegates — to prayerfully study the Bible and the materials on the ASTR website. The appeal (bit.ly/ARappeal and bit.ly/ANNappeal) included numerous weblinks to the related materials. At the 2014 Annual Council, members of the GC Executive Committee received 30-minute reports representing each of the three positions generated by TOSC. They also received a 125-page report, published in June 2014, containing detailed summaries of these three positions and their respective recommendations regarding the way forward. The 30-minute reports presented at Annual Council were published in their entirety in the Adventist Review as Position 1 (bit.ly/ARposition1), Position 2 (bit.ly/ARposition2), and Position 3 (bit.ly/ARposition3). On March 4, 2015, a letter was sent to every GC Session delegate with a link to session materials, including this full TOSC report with a link for requesting a printed copy. At the GC Session itself, summaries of each of the three positions were read, allowing more time for discussion, and printed copies of the TOSC report were made available. It should be remembered that TOSC was a study committee only, with no administrative authority, nor was it representative of the world field. Its purpose was to study the topic of ordination and to make its findings known to the larger church. As a study committee, they were tasked to research and submit reports only. Those with administrative authority commissioned the study so that their decisions would be informed. They ignored the committee’s recommendations that didn’t align with their desired outcome. The assertion that the TOSC wasn’t representative of the world field is simply not true. Each of the world church’s 13 divisions was represented on the committee. As such, the straw poll taken by the chair did not constitute any official vote. The results indicated the committee was quite evenly divided among the three positions. While some have tried to read that “vote” as favoring the ordination of women, others point out that a similarly sizeable majority recognized male leadership as the ideal biblical model for God’s people. This is extremely disingenuous. Out of 95 total votes (one voting for none of these options), 40 said each entity authorized to call pastors should be able to ordain men or women (i.e. conferences/unions), 22 said denominational leadership at a proper level should be authorized to determine if it would be appropriate for their area (i.e. division), and 32 said only men should be ordained. That means out of 94 votes, 62 either supported women’s ordination or agreed appropriate denominational entities should decide what’s best for their own territories, while only 32 said only men should be ordained. It was the results of this “unofficial” vote that weren’t widely discussed at the GC session prior to the vote being taken. Is the Church suppressing freedom of conscience by asking elected leaders to comply with General Conference Session and Executive Committee voted actions? Church leaders have a special responsibility to set an example of faithfulness to Christ. They do this by drawing the church into closer bonds of unity based on our voted beliefs and practices. To suggest a leader’s faithfulness to Christ is expressed through policy compliance makes an idol of policy. One of the causes of disunity is a failure to abide by the agreed upon policies of the church. A much larger cause of disunity is a failure to let the Holy Spirit do His work of unifying the church. Individuals are not forced to accept these policies. Coercion is not part of heaven’s plan. If a church leader found themselves in complete opposition to the church’s policies and could not live with their conscience they always have the option of resigning their leadership position. 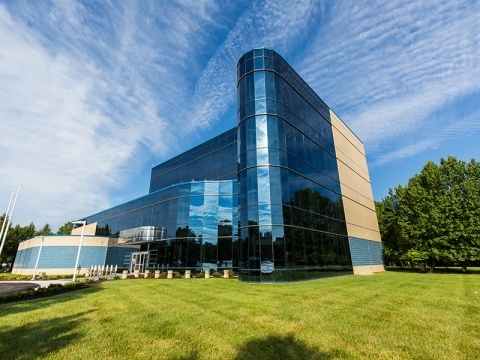 Coercion is not part of heaven’s plan, but it apparently is part of GC administrators’ plan. Their proposal calls for leaders who won’t comply to first be warned, then publicly reprimanded, then removed from having voice or vote on the GC executive committee. What’s not being talked about here is that entire constituencies have voted certain areas of non-compliance (e.g. women’s ordination) because they believe it would be wrong to do otherwise. This isn’t a matter of a handful of leaders. Resigning their leadership position at best postpones having to address the issue of constituencies at odds with the GC’s decisions. Every individual is left free to follow God’s leading as he or she understands it but each leader has a responsibility to uphold the voted actions of the General Conference in Session and the actions of the General Conference Executive Committee. Freedom of conscience on the one hand and leadership accountability to the global church on the other are precious values that should always be guarded and respected among us. Artificially drawing a line of separation between leaders and lay people is a papal concept that has no room in a church built on the “priesthood of all believers.” To suggest that if faced with a conflict between freedom of conscience and policy compliance, a leader must choose policy compliance is egregious. Furthermore, according to the church’s constitution and bylaws, leaders of conferences and unions aren’t accountable to the GC but rather to their own constituencies. When someone does not agree with church leadership, what is the appropriate way to question its actions and decisions? When there is disagreement, one should try to follow the principles of Matthew 18. Personal and public attacks are against our biblical mandate as Christians. Jesus was clear: we should treat each other as we wish to be treated. The same is also true for how we treat leaders. Even the apostle Paul, when rebuked for speaking disrespectfully of the Jewish high priest, said “I did not know, brethren, that he was the high priest; for it is written, ‘You shall not speak evil of a ruler of your people’” (Acts 23:5). As one hears or reads the strong rhetoric being used today against church leadership, one wonders if those making the accusations know the person whom they are attacking. The Bible encourages us to speak respectfully about each other and our leaders. Let’s allow the Holy Spirit to control our words and actions. While criticisms of actions taken by church leaders should not become personal, public actions deserve a public response. Publicly responding to actions taken by GC administrators is not a violation of Matthew 18 principles. Even for situations when Matthew 18 would apply, the confrontation is to become more and more public as counsels to repent and change course go unheeded. The church is the object of God’s supreme regard. Jesus prayed specifically for His church as He faced the shame of the cross, recognizing that their unity was a necessary pre-requisite for the successful accomplishment of the mission He was entrusting to them. Only as we unite in faith, practice, and mission can the work God has given us be successfully accomplished. A dying world awaits the proclamation of the unique last day Christ-centered biblical message that has been entrusted to the Seventh-day Adventist Church. Heaven’s imperative is to “go into all the world and preach the gospel” (Mark 16:16). Only a church united in love and doctrine, committed to mission, and filled with the power of the Holy Spirit will accomplish Christ’s purpose in preparing the people for the coming of our Lord. That’s why it’s equally important to understand the difference between unity and uniformity. Uniformity does not guarantee unity. Uniformity can be compelled, but unity cannot. God will never accept uniformity in place of unity, and uniformity in all matters ignores the missional reality that a diverse world requires diverse approaches from a diverse church. If compliance is so difficult to achieve and this issue is so divisive, wouldn’t it be better to just forget about this and focus on mission? The world church would love to leave these contentions behind us. We believe we must focus on mission and God’s mandate to spread His gospel of love to the world as a united church. However, we simply cannot ignore decisions that we make as a global body. Every family struggles from time to time to resolve difficult issues. Families that ignore the issues continue to suffer, but those who work through their issues come out stronger. We believe we will emerge from this struggle stronger and united as a global church family. We call upon every member and leader to pray for the power of the Holy Spirit to lead us. While we shouldn’t ignore decisions made as a global body, we should reexamine them if there’s cause to do so. Unless we believe mistakes cannot be made, we should always work to ensure mission informs policy, not the other way around.